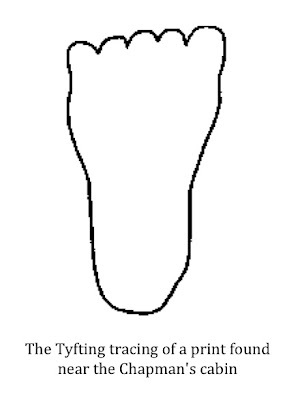 Many people think that the modern "sasquatch phenomenon" began in 1958 when Jerry Crew found huge human-like footprints surrounding his bulldozer at a Bluff Creek, California work site. They would be wrong. In 1941 an American Indian family had what has become a very well known encounter with a sasquatch in British Columbia, Canada. Details of the encounter did not emerge to the world at large until Ivan Marx published an account of the encounter in a 1960 issue of True magazine. 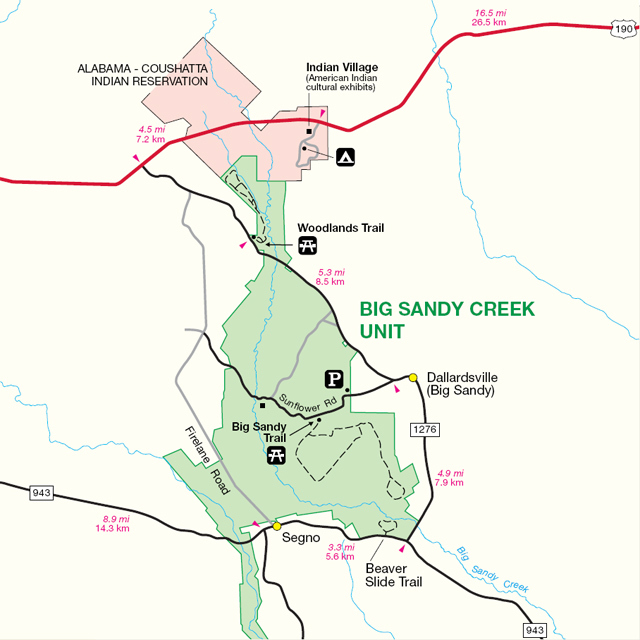 The encounter has become known simply as the Ruby Creek incident. George and Jeannie Chapman lived in a small cabin near the banks of the Fraser River just outside the settlement of Ruby Creek in British Columbia with their three children. George Chapman worked for the railroad while Jeannie stayed home with the children and tended to vegetable patches near the cabin. One bright September day, while Mr. Chapman was away at work, Jeannie and the children had a harrowing encounter that has become the stuff of legend. About 3:00 in the afternoon the oldest of the Chapman children, age 9, came running into the family cabin shouting that a cow was coming down the hill out of the woods. The boy seemed to be far too agitated to have seen a mere cow so Mrs. Chapman stepped out to have a look for herself. She spotted the animal immediately on the hillside and initially mistook it for a very large bear. She called her other two children, ages 7 and 5, who had been playing in a field behind the house, to her side as a precaution. Shortly thereafter, the creature stepped out into an open area near the railroad tracks that ran next to the cabin. It was then that Jeannie Chapman realized this was no bear. Mrs. Chapman described what she saw as a huge hair-covered man. The "man" stood between seven and eight feet tall (Mrs. Chapman based this estimate on how tall the creature was in comparison to several fence posts that it walked by), was huge through the chest and shoulders, had arms far longer than a man, a small head, no neck to speak of, and was covered in a brownish-ochre colored hair. Mrs. Chapman noted that the skin of the creature, visible on the face and hands, was very dark; nearly black. No genitalia were visible as the creature's groin area was covered by long hair; however, no prominent breasts were present so Mrs. Chapman assumed the animal was a male. The detailed description provided by Jeannie Chapman is really amazing (it is perhaps rivaled only by the physical descriptions of sasquatch anatomy given by William Roe and Albert Ostman). She had ample time to observe the creature as it advanced along the railroad tracks straight toward her. In her words, she had "much too much time to look at it." This is a direct result of Mrs. Chapman holding her ground and staying between her children and the advancing animal. As the sasquatch continued to shamble toward her cabin, Mrs. Chapman sent her oldest boy into the house to retrieve a blanket. He returned with it quickly and handed it to his mother who then spread the blanket out and held it in front of her. She instructed her children to stay behind the blanket and out of the line of sight of the creature. It was while holding the blanket in this manner that Jeannie Chapman backed quickly away from the advancing sasquatch and her cabin. The family retreated across a small field until they reached the banks of the river. At this point, the family turned and ran downstream toward the settlement of Ruby Creek. When asked why she covered the children in this manner, Jeannie Chapman gave a simple and very logical answer, "I used the blanket because I thought it was after one of the kids and so might go into the house looking for them instead of following me." 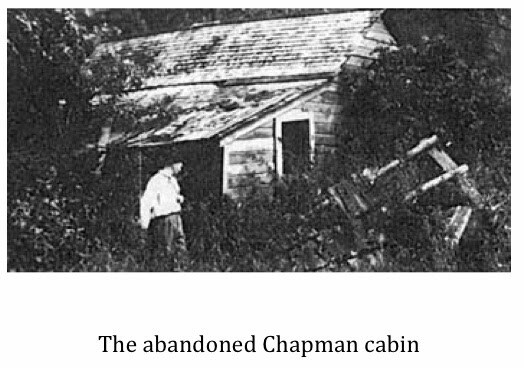 Mrs. Chapman's theory seemed to hold true as the animal did enter the cabin instead of pursuing the family. Whether it was really after one of the children is subject to speculation. What is known is that the house was ransacked. The sasquatch left the cabin at some point and moved on to an old outhouse-style structure that was being used as a storage shed and pantry. The door, which had been reinforced to discourage bears, was smashed open and the contents of the small building scattered about. Incredibly, a sealed fifty-five gallon barrel of dried fish had been removed from the outhouse and ripped open. Some of the fish seemed to have been partially eaten while the rest, along with the remnants of the barrel, were scattered on the ground. Roughly two hours later George Chapman returned home from work. He was greeted by the sight of his wide-open ransacked cabin, a smashed storage building, and giant human-like footprints in the soft soil around his cabin. Chapman realized immediately this was the work of one of the "wild men of the woods" that he had heard tales of as a youth. Understandably alarmed, Chapman called out to his wife and children but received no answer. His panic subsided a bit when he found the tracks of his family headed downstream toward the village with no sign that they were followed. Chapman did backtrack and find that the interloper had retreated across a potato patch (the animal was heavy enough to have crushed potatoes still in the ground), crossed a four foot high barbed wire fence without breaking stride, forded the creek, and walked up the hill back into the forest. Chapman would finally find his family at his father's house in the village. They were shaken but unharmed. Several men from Ruby Creek returned to the Chapman cabin almost immediately. All saw the huge footprints, the ransacked home, and the smashed door on the outhouse-style storage building. Bellingham, Washington Deputy Sheriff Joe Dunn, who had a personal interest in the sasquatch, and a co-worker of George Chapman named Esse Tyftin, were two who made the trek to the site. 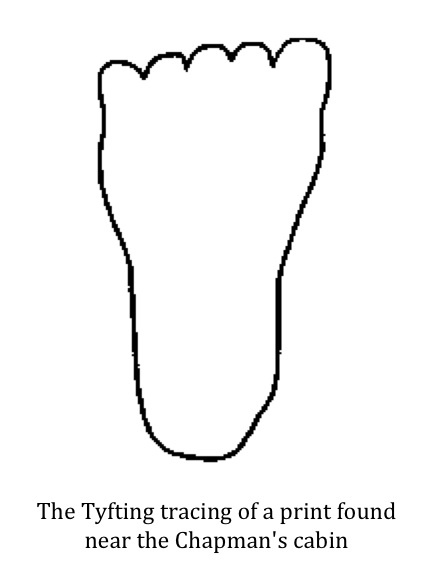 They located many tracks, took some measurements, made a plaster cast, and traced an outline of one of the better prints. These gentlemen, along with several others, made sworn statements before a local magistrate as to what they had seen at the request of noted researcher John Green. The Chapmans returned to their cabin within a day of the initial incident. Mr. Chapman's father, armed with his rifle, sat with Jeannie and the kids during the day until George returned from work in the evening. The creature visited the cabin nightly for the next week. It did not touch the cabin or the storage building but left huge footprints and did make some strange noises. The couple related their experiences to Ivan Marx. "It made an awful funny noise," said Jeannie Chapman. I asked her if she could imitate this noise for me but it was her husband who did so, saying that he had heard it at night twice during the week after the first incident. He then proceeded to utter exactly the same strange gurgling whistle that the men in California, who said they had heard a bigfoot call, had given us. This is a sound I cannot reproduce in print but I can assure you that it is unlike anything I have ever heard given by man or beast anywhere in the world. To me, this information is of the greatest significance. That an Amerindian couple in British Columbia should give out with exactly the same strange sound in connection with a sasquatch that two highly educated white men did over six hundred miles south in connection with California's bigfoot, is incredible. Putting aside the subtle racist undertones of Marx's comments, he has a valid point. You must remember that this all happened in 1941. There were no Discovery Channel specials on cable or bigfoot related internet sites. Neither Leonard Nimoy nor Peter Graves had begun to look into the sasquatch phenomenon on network television. Jerry Crew was still seventeen years shy of finding enormous footprints at his job site and the term "bigfoot" had yet to be coined. Roger Patterson and Bob Gimlin would not capture their famous footage for another twenty-seven years. There was simply no way, other than the tales they heard growing up, that the Chapmans would have had any knowledge of the sasquatch. The fact that their descriptions of the strange gurgling whistle and the physical characteristics of the creature exactly match those given by others hundreds of miles away certainly lends credence to the tale. The whole thing was too much for the Chapmans and they abandoned their cabin. They never returned to it though they did stay in the general vicinity. Relatives of the couple told John Green that Jeannie Chapman never really got over the incident and had never been the same. Ivan Marx, during his interview with the couple, asked if they believed, as many First Nations people did, that seeing a sasquatch was bad luck and meant impending disaster. Was this part of the reason they abandoned their home? They answered that they had heard white men mention this belief but that they had never heard it from their own people. Unfortunately, tragedy did follow them. Within three years of the incident all three of the Chapman children were dead. Both boys drowned while the little girl died of an unspecified illness. Shortly after the Marx interview, which did take place years after the incident, George and Jeannie Chapman drowned in the Fraser River after their rowboat overturned. Make of these events what you will. 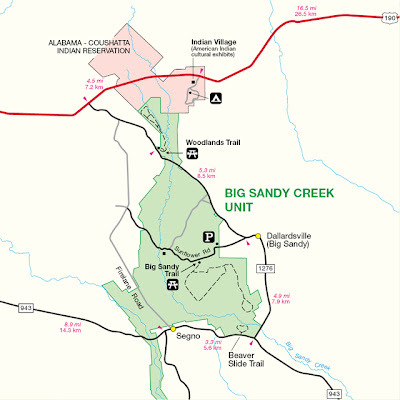 Did the Ruby Creek incident really occur? For his part, Ivan Marx had no doubts. He wrote, "I absolutely refuse to listen to anybody who might say they were lying." He went on saying, "Admittedly, honest men are such a rarity as possibly to be nonexistent but I have met a few who could qualify and I put the Chapmans near the head of the list." John Green, too, seemed convinced the events unfolded as described. Not only did he feel the Chapmans were credible but was also impressed by Deputy Sheriff Joe Dunn and Esse Tyfting, in particular, who investigated the sighting shortly after it occurred. You can see a short video of Green and Tyfting talking about the Ruby Creek incident below. As for me, I believe this event did occur and unfolded as described by the Chapmans. 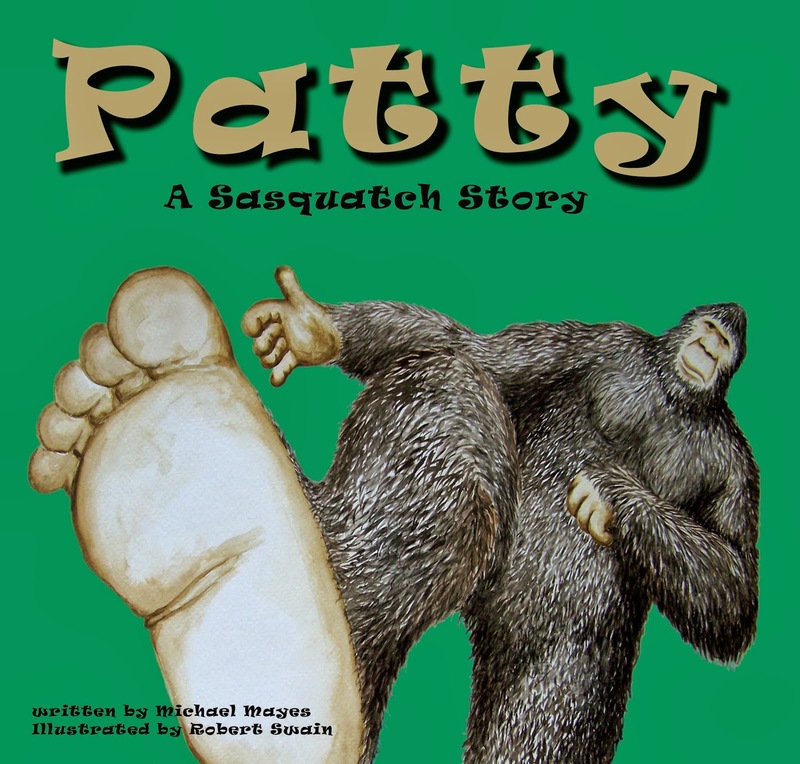 The Ruby Creek incident is one of the best documented sasquatch encounters ever. Multiple quality investigators looked into this case and, to my knowledge, without exception found the Chapmans to be credible. They all believed them. Physical evidence was left behind and documented by multiple people including a Deputy Sheriff. Hairs in the storage building were located, multiple footprints in excess of seventeen inches were found, a reinforced door was smashed to bits, and a fifty-five pound barrel of dried fish was ripped to pieces, apparently, without the use of any tools, etc. The witnesses all made statements under oath that they saw this evidence. Yes, the incident at Ruby Creek took place. Of that I have no doubt. The quote below was used in the Ghost Bird documentary about the Ivory-Billed Woodpecker. While the quote was used within the context of the search for this legendary bird, I think it applies nicely to all rare and elusive animals. I think it also points out the difficulties faced by those who search for, as yet, undocumented species like the sasquatch. The quote doesn't seem to hold out much hope that the existence of these creatures will ever be positively established. While I agree that the obstacles of discovery, or rediscovery as the case may be, are formidable, I continue to believe it is possible; however, much time and hard work are going to be required. Field research is usually not pleasant. Rare is the day in the field that is easy. It seems it is either boiling hot or terribly cold. Mosquitoes and other biting/stinging insects are ever present. Venomous snakes thrive in the spots we frequent in the search for these cryptids. Often, searchers are even assaulted on a microscopic level by parasites like Giardia lamblia, Naegleria fowler, and Lyme disease. I haven't even touched on the expense that comes into play. Video cameras, audio recorders, camera traps, batteries, wear and tear on vehicles, and fuel costs all add up quickly. The quote below captures, in a wonderfully understated manner, the difficulties faced by the intrepid field biologist/researcher. 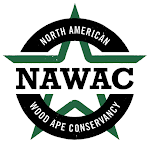 I hope those who continually criticize those who, against the odds, continue to search for the Ivory-Billed Woodpecker, the sasquatch, and other rare and elusive creatures will stop and consider the difficulties these people face. It is dirty and potentially dangerous work. At the very least, the sincerity of the searchers should never be questioned. Nobody would participate in this type of work without truly thinking documentation was possible. I have recently received two interesting emails from readers of this blog. The first email deals with a big cat sighting in Houston, Texas. The second email concerned a sighting of a huge snake in the Big Thicket National Preserve. The first email, regarding the big cat sighting and minus information that would compromise this witness's identity, is below. I live in Houston. My house backs up to the area that is now being converted to the **********. Yesterday we spotted a large cat crossing across the field. Our first guess was Bobcat – but the tail was pointing up and was bent and short. I was just wondering what other cat might be in this area. I have taken pictures of the coyote, but was not able to get the camera in time for the cat. I replied with a few follow-up questions. This was the reply. Thanks for responding! At a distance it can be a bit deceiving. My son, his girlfriend and I saw the cat around lunchtime on Tuesday. My guess is that if you ask each of us our descriptions will be a bit different. Here’s my best description. It was a bit shorter than a boxer and a lot more sleek. I did not see any spots or stripes – the cat seemed to be gray. The tail stuck up slightly crooked probably less than a foot. The pond has not been built behind us yet. Across ******* they have dug three of the ponds. They just started clearing the land. We back up to the easement that will be left as it is. I have attached a couple of pictures to give you an idea of our backyard or what we use as ours. I would love to have a game camera. I feel since they are redoing the whole area behind us that we will start seeing more activity. The size described would seem to indicate a panther/cougar sized cat. While the gray color would seem to indicate a bobcat, the lack of any markings, and the tail described, would seem to rule out the species. 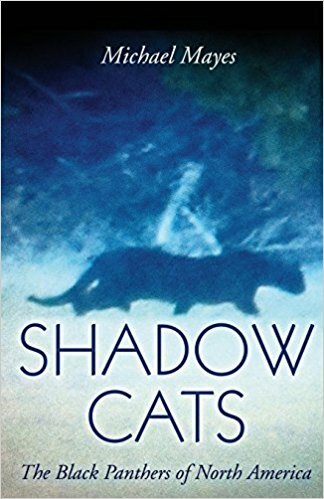 Could the elusive jaguarundi have made an appearance? I plan to keep in touch with this witness to see if the cat returns. If so, I will, with the witness's permission, get a game camera onsite to try and get a photo. Hopefully, that will allow me to identify just what type of cat is prowling this area within the Houston city limits. The second email, concerning the sighting of a big snake is below. You were looking for readers to send in their encounters with big snakes, well I had a good encounter with just a snake on March 28 of this year. An avid hiker in the Big Thicket National Preserve, I was hiking the Beaverslide Trail, southeast of Livingston . The trail takes one around a large pond in thick woods. I was about halfway around it when to the left of the trail, this very large black snake appears and begins crossing the trail about 10 feet in front of me. The trail is pretty wide but this snake’s body was so long that while the head part was on the right side of the trail, the tail area was still on the left. It was high-tailing it for the water and it made a small splash as it slithered down the embankment and into the water. It left me shaken at what I saw and not sure I wanted to finish the hike around this pond. I replied to the sender of this email with the following questions. Could the overall length and/or diameter of the snake be estimated? Was it solid black or was some sort of pattern or color variation visible? Have you looked at any photos of snakes in an attempt to find something that looks close to what you saw? To this point, however, I have not heard anything back from this witness. As always, I would ask anyone who has seen an odd or out of place animal to contact me. My email address is Texascryptidhunter@yahoo.com. I'll look forward to hearing from some of you. I spent last Memorial Day weekend back in the Piney Woods of east Texas. I met up with three fellow TBRC members at a camp they had established the day before near the creek that yielded what may be sasquatch tracks back on Mother's Day weekend. 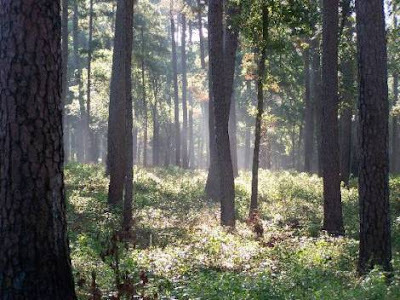 The objectives were to do a bit of exploring to see if we could locate any more sign, continue to identify potential camera locations for Operation Forest Vigil, and, in the best-case scenario, make contact with the target species. The weekend was plagued by minor, mostly vehicular, disasters. All in all we had two trucks get stuck in the sandy soil near our campsite, two trucks sustain damaged rear bumpers, and one truck (mine) that lost the passenger side-view mirror when a deranged pine tree appeared from no where as I was backing out : ) We also suffered some hardships with the weather. Several small but intense thunderstorms rumbled through the area over the weekend. We had to weather the worst of these sitting in our, by that time, damaged vehicles. The weather continually threatened to turn bad and was something we had to keep our eyes on. The highlight of the weekend was an approximately 8 mile nighttime hike through the heart of the forest around our area of interest. We took a circular route using some established, but obviously seldom traveled, trails and one forest service road that has been gated and unavailable to vehicular traffic, to the best of my knowledge, for several years. We started the hike around 8:30pm just as the sun was setting. The going was a bit tougher than it normally would be due to the wet and muddy conditions and the fact that we were using strict light discipline. Only headlamps covered with red lenses were used during navigation. We tried to keep a distance of at least 10-15 yards between us to help minimize the sound of our footfalls and it seemed to help to some degree as we walked up on at least two animals that bolted in panic before we were able to identify them. We also startled a barred owl badly but he managed to return the favor when he called loudly from what sounded like only yards away. Several other times we walked into areas that smelled strongly of some kind of animal indicating that we may have just missed catching a glimpse of whatever species might have been present. The highlight of the night came shortly after midnight when we were stopped in our tracks by six long howls in succession. The howls each lasted a full six seconds or more in duration and came quickly one after another. I believe the longest time between howls was just over a minute. The howls were eerily reminiscent of the famous Ohio Howl. 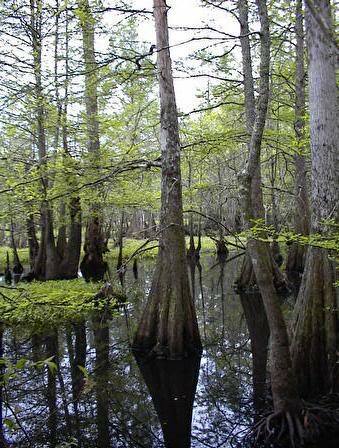 The howls were a dead on match for those captured on tape several years ago in the Big Thicket. These howls were featured prominently on the Travel Channel program Weird Travels that focused on bigfoot. We guessed the howler to be at least a mile away. While they were just a bit on the faint side, they were crystal clear, long, and powerful. There was definitely an "AHHHHHHHH" sound to them making them easy to differentiate from the howls of coyotes. We waited for 15 minutes or so after the last howl and then moved on. A bit over an hour later, we heard the howls again. This time there were only two howls and they were even more faint than before indicating the animal, whatever it was, had moved even farther away from us than before. We also heard the calls, howls, yips, and barks of a pack of coyotes that night but they were much closer to us and easy to identify. We finished our hike around 3:30am, did some road running for about an hour, and returned to camp. We were exhausted and our sleeping bags were calling invitingly. We fell asleep very quickly so nothing else was heard that night. Before I left for home the next morning I acquired the castings of the prints located in the creek Mother's Day weekend. I will be publishing the exact dimensions, photographs, and my thoughts on them soon. In conclusion, the weekend was hot, buggy, wet, muddy, and exhausting. I damaged my truck and was sore for two days after our long night hike. Obviously, I had a great time. I recently came across an article, written by Helena Sung, on the Paw Nation website that documented an extraordinary, and touching, reunion between a lowland gorilla and the man who raised him from infancy. You can read Ms. Sung's full article here. Kwibi, a western lowland gorilla, was born in captivity at the Howletts Wild Animal Park in England. British naturalist Damian Aspinall, in conjunction with the foundation bearing his name, raised the gorilla from infancy with the intention of re-introducing him into the wild. After several years of parenting by Aspinall, Kwibi was released into the wilds of Gabon, West Africa. Five years after releasing the young gorilla, Aspinall decided to attempt to visit his old friend. He traveled to Gabon hoping to catch a glimpse of Kwibi. Cameras rolled as Aspinall called, "C'mon! C'mon," while floating down a river in the area where it was thought Kwibi was living. What happened next was truly astounding. You can view the footage below. "He heard my voice and came to the edge of the river," Aspinall said. 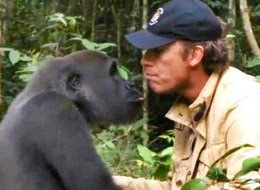 Aspinall cautiously approached the gorilla he had not seen for years. Initially, he was a bit unsure how Kwibi would react to him after all this time. Aspinall realized all was well when he heard the gorilla emit what he called a "love rumble". Kwibi nuzzled his former "parent" and wrapped his arms around him in a gentle bear hug. It was clear that Kwibi did not want his long lost friend to leave again. Eventually, Aspinall did have to board his boat and continue his journey down the river. However, Kwibi followed his progress from the riverbank. Eventually, the boat anchored up for the night. The gorilla stayed in close proximity on the opposite bank. "He hooted, calling for his friend," according to Aspinall, all night. The next morning Aspinall took a swim in the river. Sure enough, Kwibi appeared from the bush on the opposite bank. "It is no different if you go see a friend in another country and you meet and you have a reunion then go on to your separate lives again," Aspinall said to Matt Lauer on the Today show. "I always feel I'll see him again." I hope you will take the time to view the video. To read about the encounter is one thing but to see it as it unfolded is something all together different. Clearly there is so much more than we ever thought to the great apes. Their intellectual capacity, memory, and emotional depth are stunning. This reunion, thankfully documented, is something truly special. How anyone could not be affected by viewing it is beyond me. Aspinall concluded his Today show interview by saying, "I hope when people see this they realize animals deserve their chance..."